What if you saw the building walls and other urban obstacles around you not as barriers, but as tempting challenges? Parkour practitioners and free runners do just that, putting into practice things most of us just associate with the movies. In real life, however, veterans practice these amazing arts of travelling quickly and smoothly through cities. 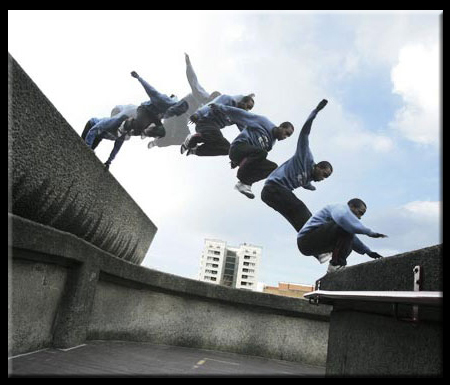 Parkour emphasizes efficiency of movement, while free runners focus on fluidity and elegance. 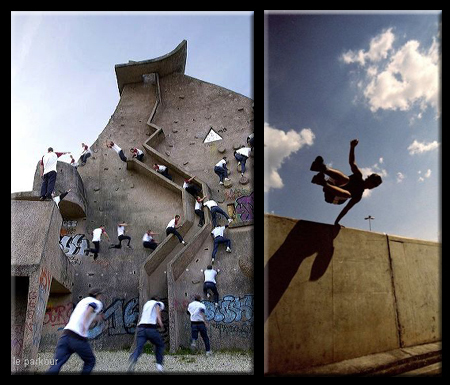 Parkour has its origins in gymnastics and martial arts, combining movements from each and applying them to urban settings. 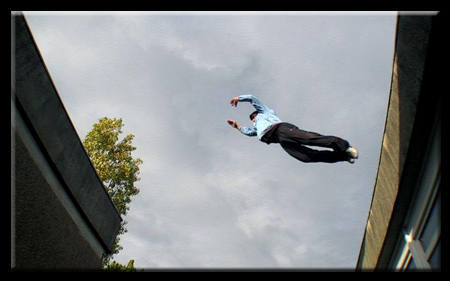 Free running evolved as an offshot of parkour, adding elements of harmony and style to basically strict utility. Many of the movements shown in pop cultural images and videos look simple but, perhaps unsurprisingly, are the culmination of a great deal of practice. Wall jumping, rolling and long-distance landings require careful shifting of body mass that, in turn, helps practioners absorb impacts that seem impossibly dangerous. Like the urban exploration of abandonments, these activities are at times also illegal. In recent years, more and more references to parkour and free running have emerged in popular culture. In fact, many people have seen parkour in movies without realizing the stunts are being performed without digital editing or other behind-the-scenes trickery. Know of related links or resources? Feel free to add them below!